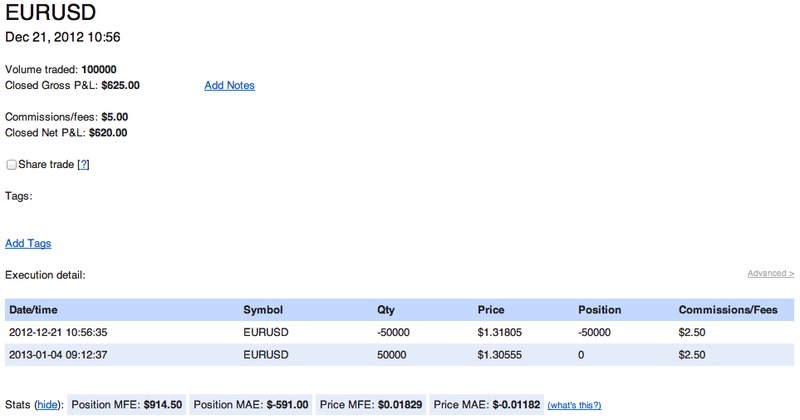 It’s been a long time in coming, but I’m pleased to announce that Tradervue now supports Forex! 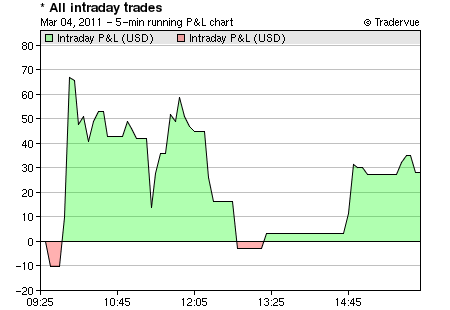 The P&L shown is the as-converted P&L for the trade in your base currency, which by default is USD. If the currency conversion has not yet been calculated, this will show “pending”. The closing P&L will be converted as of the times each portion of the P&L is realized. It will be calculated based on the conversion rate at those particular minutes – it will not use an end-of-day conversion. Most of the reports will still report in USD (or your base currency), using the converted P&L results to ensure all of your trades can be aggregated together. In addition, some of the Advanced reports can now report in pips. This list is constantly updated; refer to the complete broker/platform list for updates. If you are using another broker or platform for your forex trading, please let us know and we will try to add support for it. Forex is now available for all silver and gold users. And as always, we have a free trial for new users to give it a try – you will see a message about the trial when you sign up or upgrade if you are eligible! UPDATED SEP 17, 2013: updated notes about when currency conversions are done, after some recent updates. UPDATED MAR 23, 2017: updated to reflect that you can now select your base currency, and you are no longer limited to just USD. We plan to expand on this, and have more reporting options in ticks or pips in the future…but in the meantime, these particular data points are available for you to use today! Advanced reports are available for all silver and gold users. 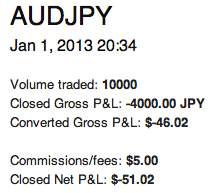 On the Overview tab of the Reports section of Tradervue, we’ve added a “Recent” report group. 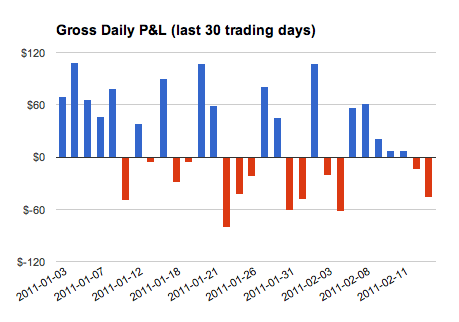 The Recent reports will show you a quick snapshot of your trading performance over the last 30 trading days. These new reports are available immediately for all Tradervue users! We’re excited to introduce the beginning of the Tradervue API today! This was becoming an increasingly popular request, and it only makes sense to make it easier for Tradervue to work with other software. The first endpoint we are exposing is for importing trade data. You can now write code against our API to import your trades from any system. For example, if you use a desktop trading application with its own API, you could write some code to pull data out of your trading app during the day and upload it to Tradervue automatically. The API documentation is here, along with a sample app you can take a look at. Our intent is to expose more Tradervue functionality through the API – much of that will be based on customer feedback. So don’t be shy – tell us what you’d like to see! And if you end up using the API, let us know – we’d love to hear about what you’re doing with it. Tradervue now supports importing trade data from Schwab! To import your trades, go to the Tradervue Import page, select Schwab, and follow the instructions. Schwab does not include execution times in their export data. 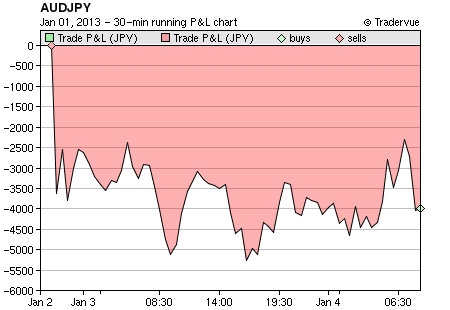 Because of this, there are some limitations on certain functions in Tradervue when using this data. For more information, see Importing without execution times. Note that activity in Schwab Cash Reserves (SWSXX) will be ignored on import. 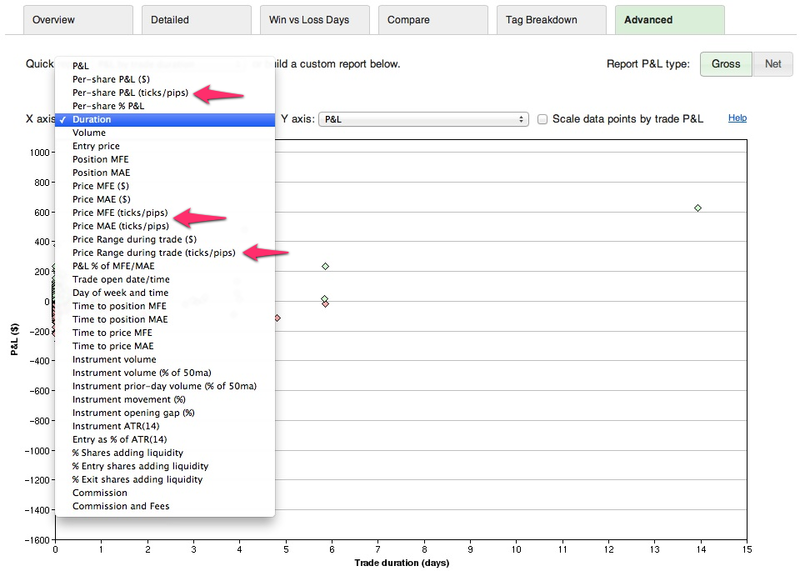 Tradervue now supports importing trade data from Fidelity! Just go to the Tradervue Import page, select Fidelity, and follow the instructions. At this time, Fidelity does not include execution times in their export data. Because of this, there are some limitations on certain functions in Tradervue when using this data. For more information, see Importing without execution times. Note that activity in Fidelity Cash Reserves (FDRXX) will be ignored on import.